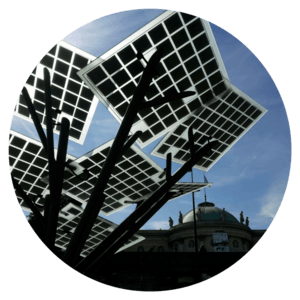 The Solar Tree provides sustainable connectivity and fulfills the promise of smart-city in an artistic form and is the first platform of its kind. 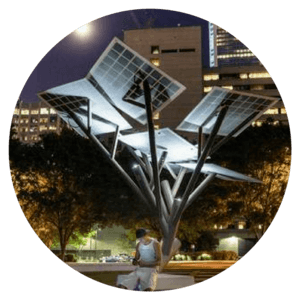 Designed to operate for decades, the Solar Tree is sustainable, smart-city art. 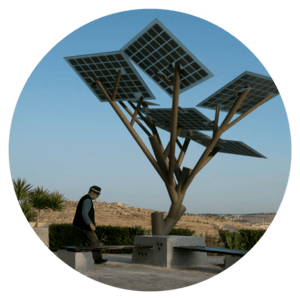 ​The Solar Tree is a social enterprise, wich aims at promoting environmental awareness and sustainability. Being an urban platform, it is an excellent site to conduct out-door seminars and activities for schools. It can host class-size groups in a shaded area and even provide power source for amplification units. 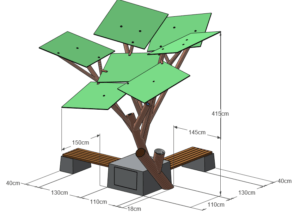 The tree effectively exemplifies the notions of green and sustainability. Children are also exposed to environmental art. It symbol for community, environment and eco-education. 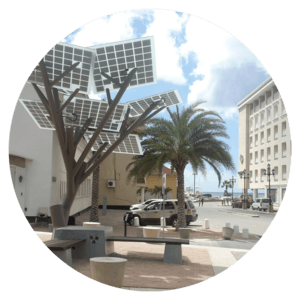 The Solar Tree is radiation-free and electrocution-safe.